(NaturalNews) It is the ultimate example of how you reap what you sow: Huge numbers of American workers who voted for Obama are now seeing their own jobs slashed below 30 hours a week as employers desperately try to avoid "Obamacare bankruptcy." Obamacare mandates for businesses only apply to those working 30 hours a week or more, and while many businesses do not want to cut workers' hours, they are being forced to in order to stay afloat. This necessary action is causing businesses to lose money and become less competitive while at the same time destroying American jobs. Some businesses are also slashing job positions in an effort to get below the 50-employee threshold above which Obamacare mandates kick in. So across the country, we're not only seeing workers lose hours thanks to Obamacare; we're also seeing workers losing their jobs. But the Obama administration will announce these results to be a huge "job creation success!" because workers must now find two part-time jobs that usually pay less than the one full-time job they used to have. The raw job numbers, however, will be spun by the White House into a victory pronouncement of "twice as many jobs exist now!" A note to Obama supporters: When you thought you were voting for "free health care," you were actually voting to get yourself "downsized." Your vote was an act of economic suicide. That's because no government can force a business to pay for something that will put it out of business. When government mandates become too expensive for a business to afford, it will simply stop conducting business and that means cutting jobs or job hours. This is the upshot of Obamacare: the destruction of America's small businesses. Obamacare is gutting America's economy and throwing a wrench into the economic machinery that keeps America working. You know why service is so slow at retailers these days? Because Obamacare forced the employer to slash workers' hours. Why do car parts take so long to order and deliver? Because Obamacare gutted the human resources of the parts manufacturers. Why is everything becoming slower, more expensive and more frustrating across the economy? Because Obamacare mandates have forced employers to downsize or lay off their most productive workers. The simple truth of all this is that economics is a subject best left to those people capable of understanding mathematics, and that precludes the vast majority of voters of either political party. Mathematically speaking, Obama's so-called "mandate" isn't even a real mandate: Less than half of eligible voters actually voted in this recent election, and barely half of those voted for Obama. This means that roughly 75% of eligible voters didn't vote for Obama, yet they must suffer under his economic policies which are based in pure fantasy and delusion. Obama has zero business experience. He has no clue how economics really works and no knowledge of how to run a successful business, much less the executive branch of government. I know what it takes to create multi-million-dollar companies because I've done it successfully and repeatedly, and I can assure you that the economic policies currently being pursued in Washington will only destroy jobs, destroy America's economy and destroy our economic future. Democrats, it seems, believe the solution to all this is to make taxpayers pay even more money to the federal government. As we are told by the lamestream media, apparently the only reason the economy isn't celebrating a rapid expansion right now is because workers and businesses are allowed to keep too much of their own incomes. If only Washington D.C. had more of your money, they would use it more wisely, we're told, and fix all our problems. Obamacare is just the beginning: power-hungry zealots like Obama have plans for centralizing control and running everything in your life: health care, food choices, educational choices, private property, energy consumption, home gardening and anything else you might imagine. It's all cause and effect, folks. If you really want to uplift America's economy, create millions of quality jobs and put the kind of money into the hands of workers that can help them afford private health insurance, you've got to slash the size of government by 80% across the board. Let businesses and workers keep 80% of what they normally send to Washington. With that kind of money in their pockets and bank accounts, workers would EASILY be able to afford health insurance. They would also spend their newly-expanded discretionary incomes on all sorts of products and services that would be a boon to the economy. Government, you see, is the eternal enemy of economic prosperity. Government has been and always will be a parasite on the economy. Obama and his worshippers don't understand economics. They don't understand what it takes to create abundance out of hard work, dedication and honest savings and investment. 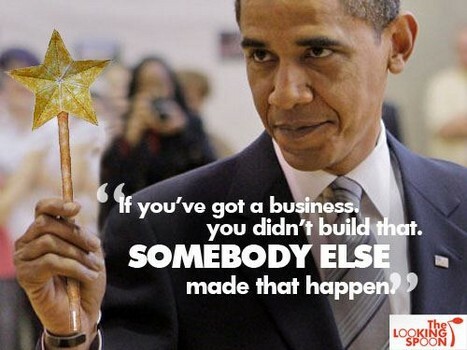 It's all summed up in Obama's atrociously insulting quote, "If you have a business, you didn't built that... somebody else made that happen!" That's a lie. Government builds nothing. It only destroys that which others have built. And Obamacare has succeeded in only one thing: the "scorched Earth" destruction of American jobs and the rapid erosion of economic prosperity. If you voted for Obama and you're now unemployed or had your hours cut, you are getting a first-hand view of economic cause and effect. I'm not saying Romney would have been any better, because he was just another Goldman Sachs puppet. The real solution to all this is Ron Paul, who wanted to slash the size of government and send people's money back home so they could spend it the way they choose instead of having a bunch of over-fed, over-paid bureaucrats spending their money in D.C. Instead of blaming Obama, of course, the vast majority of the recently-unemployed will blame their employer! "How dare you cut my hours!" they will scream, oblivious to the fact that their employer did NOT want to cut their hours but was forced to by a cabal of economic morons in Washington who are dismantling America's economy one piece of legislation at a time. Putting Democrats in charge of the economy is kind of like putting kindergarteners in charge of nuclear missiles. The outcome can never be good... a lot of people are going to get hurt... and somebody else sooner or later has to clean up the mess. Like a heroin addict who can't quit his cycle of self-destruction, the Obama administration will then insist, two or three years from now, that the problem is caused by government still not confiscating enough money from taxpayers and small businesses. The call for raising more taxes, growing more government and dictating economic policy to the nation will be parroted across the lamestream media. In the end, the system will collapse. When that day comes, don't be anywhere near a large U.S. city. The reasons for that will be discussed in an upcoming article right here on Natural News. Natural News is one of the most widely plagiarized news sources on the 'net. Every article I write is copied by at least a thousand other websites over the subsequent 30 days. I have no problem with being re-posted and even welcome re-publication on other websites but please give credit and a link to the original source URL here on Natural News. Too many websites on the 'net are what we call "lamer scrapers" who scrape content and then slap their own name on it! That's just lame. If you take content from someone, just give them credit with a link, like we do. When Natural News cites a source, we link to it. Linking is the currency of the internet, and if you don't link to your sources, sooner or later readers will find out you're a scraper and you'll never grow beyond a certain reputation level. If you DO link to your sources, you'll be seen as a more professional news organization that honestly cites sources. Natural News currently links to over 25,000 unique domain names. We have a domain authority of 91, which is the highest domain authority in the health news industry. According to Alexa, there are nearly 25,000 other websites linking to Natural News, and we are the 860th most popular website in America. We have over five million unique monthly visitors, and our traffic continues to grow every month. If your website produces good content on any topic we cover, we may link to you and cite you as a source! But we don't link to sites that scrape our content and refuse to give credit. The bottom line on the 'net is like this: If you want to RECEIVE credit, you also must GIVE credit. "Link karma," it's sometimes called, and our willingness to link to deserving websites is one of our most powerful secrets of internet success. So if you copy, please credit. It's not just the ethical thing to do; it will also grow your own website's reputation and visibility. Many of these workers are, of course, ardent Obama supporters. And like most Obama supporters, they have very little understanding of how economics really works. Accordingly, they have no idea that their support for Obama is tied to their recent job loss. Instead, they blame their employer. "How dare they cut my hours!" Yep, it's all the fault of the employer for wanting to avoid bankruptcy. Obama supporters, by and large, think that money just magically appears out of thin air with no consequence and that therefore the government can simply give away enough wealth to keep the voters comfortable. That's why voters want their Obama phones so badly... and their Obama welfare checks, Obama housing and Obama health care. They don't realize the only reason they need a welfare check is because Obama destroyed their job in the first place. If we had a President who pursued rational economic policies, nearly everyone would already be employed and they wouldn't need government handouts!